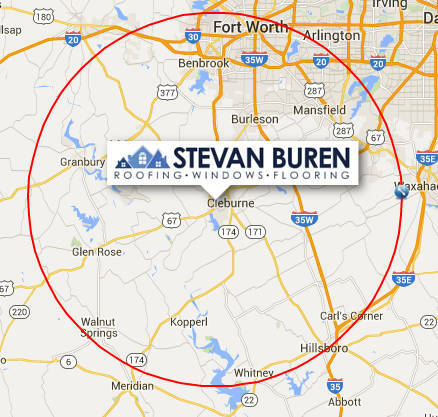 Stevan Buren Roofing, Windows, & Flooring is committed to ensuring that your privacy is protected. If we ask you to provide certain information by which you can be identified when using this website, you can be certain that it will only be used in accordance with this privacy statement. 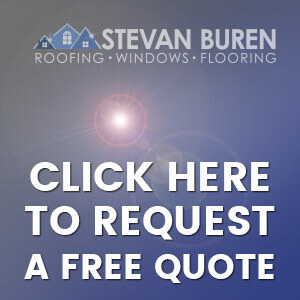 Stevan Buren Roofing, Windows, & Flooring may change this policy from time to time by updating this page. You should check this page from time to time to ensure that you are happy with any changes. This policy is effective from 3/15/2017. This policy was reviewed on 5/8/2018 and no changes were made. The information we gather is for our own use only. We will never ever EVER sell your information. We only use traffic log cookies to identify which pages are being used. This helps us analyze data about webpage traffic and improve our website in order to tailor it to customer needs. We use this information only for statistical analysis purposes and then the data is removed from the system. Overall, cookies help us provide you with a better website by enabling us to monitor which pages you find useful and which you do not. A cookie in no way gives us access to your computer or any information about you, other than the data you choose to share with us. You can choose to accept or decline cookies–it will not affect your experience on our website at all. Our website contains links to enable you to visit other websites of interest easily. However, once you leave our site, you should note that we do not have any control over the other websites. Therefore, we cannot be responsible for the protection and privacy of any information which you provide whilst visiting such sites and such sites are not governed by this privacy statement. If you have any questions or concerns about this policy, please do not hesitate to call us at 817-558-6997. We are open 8-5 (Central time) Monday-Friday. 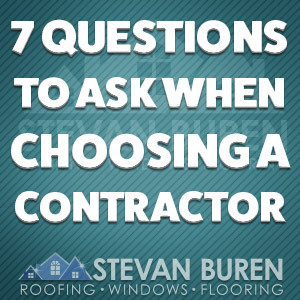 You can also email us regarding this policy at office@stevanburen.com.